New sound piece commssioned by documenta14 for the “Every Time A Ear di Soun” radio program. Departing from historical accounts by recording pioneers such as Theobald Noble and Fred Gaisberg – who made the earliest sound recordings in India c. 1902 – The Gramophone Effect is a polyphonic audio essay on possible sound histories in the subcontinent. Described by Derrida as the tension arising between the desire for memory and the impossibility to preserve living voices, « the gramophone effect » refers here to the estranging presence of recorded voices, as much as to the transformative potential of the unheard. To the overt exoticism of Nobles’s descriptions, the artists oppose other sources including translations of traditional Bengali songs, an essay by sound artist Farah Mulla, excerpts of a conversation with Khasi folk singer Kerios Wahlang, as well as a speculative new voice adapted from the Lakshmi Tantra. 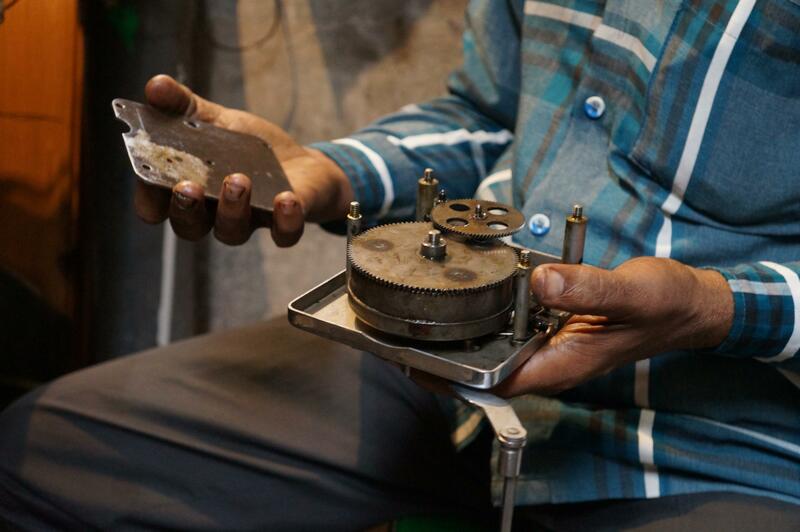 Developed in collaboration with several Indian artists during a residency in early 2016, the piece contains also early Indian shellac records, field recordings from the Indian-Bangladeshi border area, sounds from instrument makers and musicians in Bengaluru and Kolkata, as well as improvisations by Aubry and Millis with an acoustic gramophone.